With more and more people looking to embrace a vegan lifestyle, this debut cookbook from food blogger Kate Ford presents readers with an easy way to transition. This guide is great for the novice vegan shopper and is packed with over 70 recipes that can be prepared in 15 minutes or less. It also provides tips, advice, meal planners, and a comprehensive guide on stocking the store cupboard. 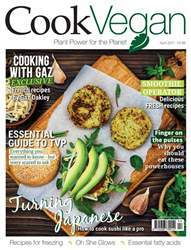 The recipes are divided into seven chapters and feature a whole host of dishes including staples such as pasta, risotto, stew and more adventurous dishes like the tahini and cashew quinoa bowl with garlic and ginger mushrooms. 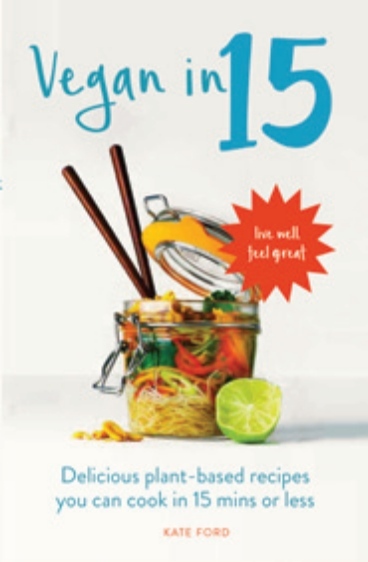 Vegan in 15 is both the perfect introduction to vegan eating and an essential addition to seasoned vegans looking for inspiring new ways to cook.